Project Ascension seeks to consolidate game stores in order to help spark healthy competition. 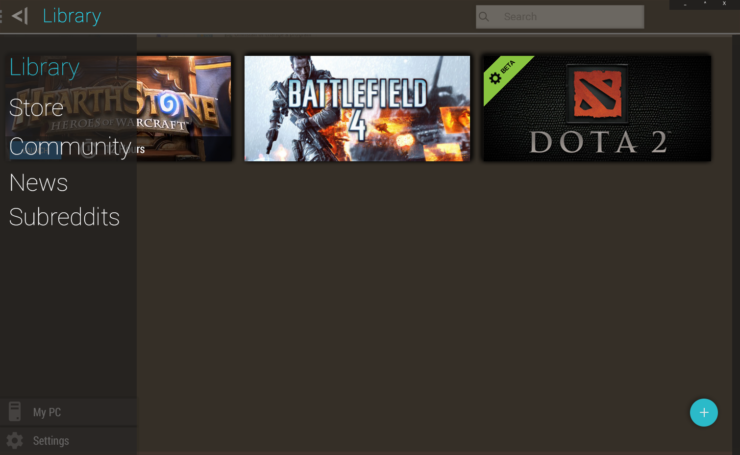 Developers from all over the world have come together via Reddit to create their own open source game launcher. 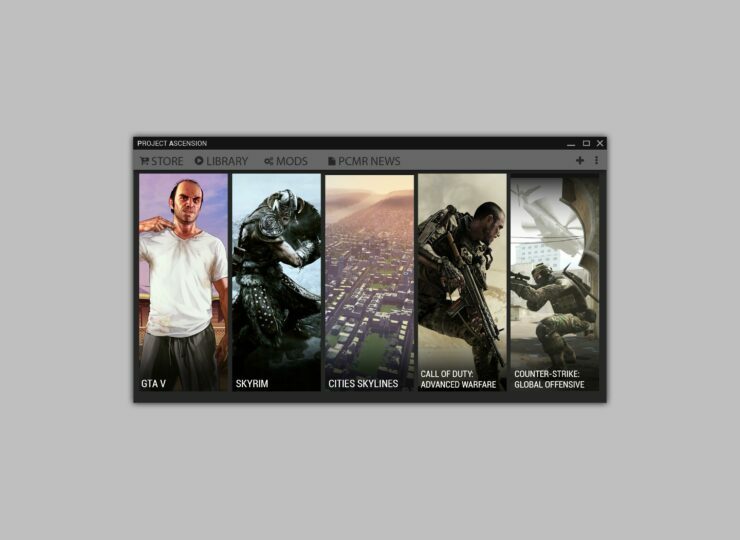 And there are already quite a few great concepts of the launcher showing up. 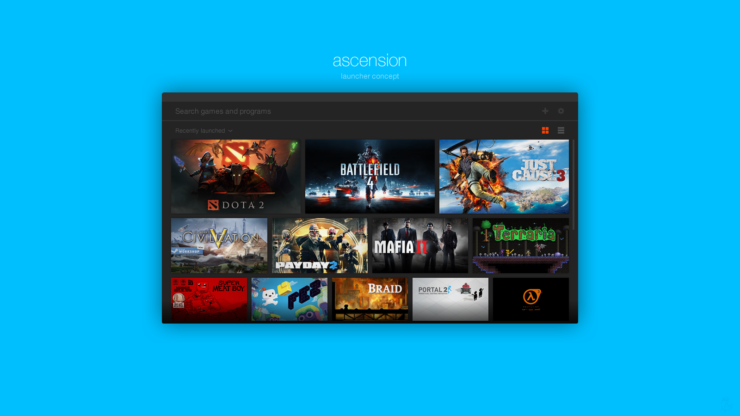 Project Ascension, an open source game launcher is now in development, set to unify all the major gaming store fronts. First, the team from Project Ascension want to stress that this is by no means a replacement for Steam, Origin, Uplay or GOG Galaxy. They’re goal is to unify all the major digital distribution methods into one launcher. The idea is to let you browse and compare prices all the convenience of one front. This consolidation should be able to provide a means of sparking competition as it’ll no longer be inconvenient to compare prices from all the services. 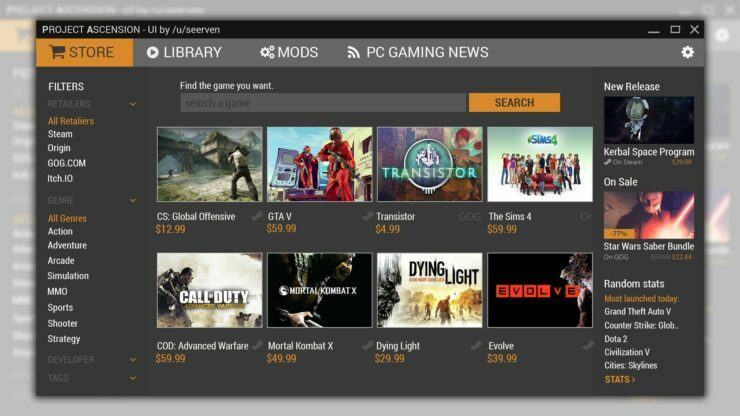 Now you’ll just be able to browse one store front (that’s not an actual store) to find the game at the cheapest price possible. Just imagine the impact on the bottom line for some of those companies this could potentially have. Project Ascension has the potential to be quite revolutionary, not in its capability, but in its impact on the greater community. As of right now it seems that most of the core underlying work is done with UI concepts being thrown around as well as whether or not to add additional functionality. The suggestion was even posed whether or not it would worthwhile to add other types of media that we could compare. Crucially, then, this is a means to rock the world of the big digital distributors. Not by taking customers away, or directly taking profit, but instead by allowing customers to see very simply where the best deals are. Plus, open source is always great to see. And to be honest, it’s not entirely impossible for a rag-tag (though they’re very organized) group of rebels to become a true publishing platform in the future, if they wanted to.